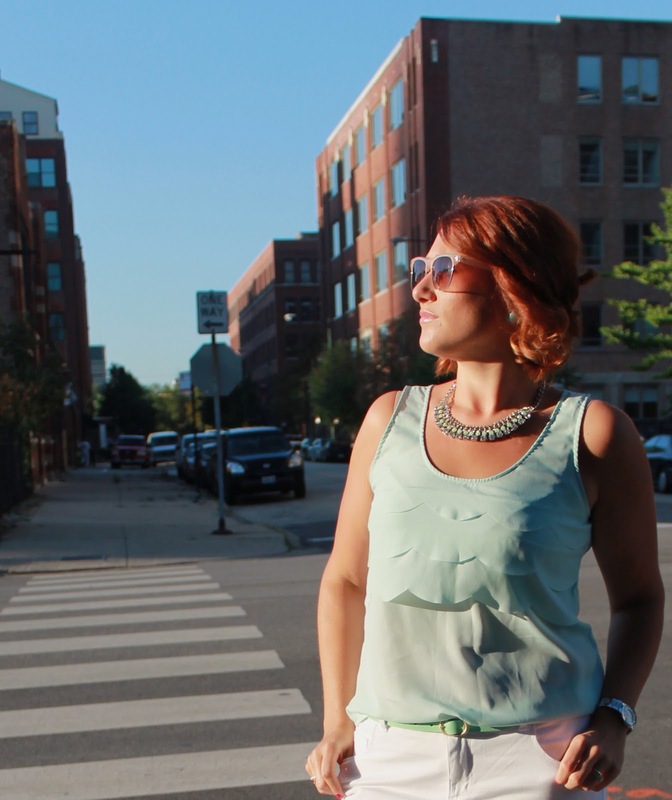 HOT PINK style: Scalloped Mint and a DIY to Match! Scalloped Mint and a DIY to Match! I recently realized that with all the mint colored clothing I've acquired in the past few seasons, I had no mint jewelry to pair it with. So what did I do? I made some! I took a cheap Forever 21 sparkly necklace, and painted one row of the crystals with my Revlon mint nail polish, and there you have it! DIY statement necklace that will go with all my mint items and so much more! Tank: Charlotte Russe( (similar here), White skinny pants: Forever 21 (buy here), Belt: J Crew(buy here), Sandals: Enzo's via Bloomingdales Outlet, Watch: men's Target, Necklace, sunglasses and earrings Forever 21. Before..well almost before, except for those three stones at the end I already started. ...and after! I was thinking of doing every other stone on the bottom row hot pink. What do you think? I love that necklace and the DIY after looks great. Thanks. I should really buy more! Thanks for reading! So pretty, I love the top. Great DIY necklace!